Atlanta Falcons TE Jacob Tamme (shoulder) underwent season-ending shoulder surgery on Friday. 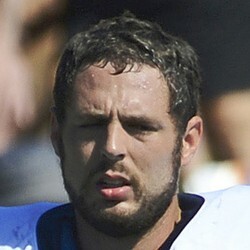 Tamme is finished for the remainder of the year as he underwent season-ending shoulder surgery on Friday. In his absence, Austin Hooper is expected to be the featured tight end in Atlanta's smoking hot passing attack. However, he is not a reliable fantasy option in this week's tough matchup against Arizona.